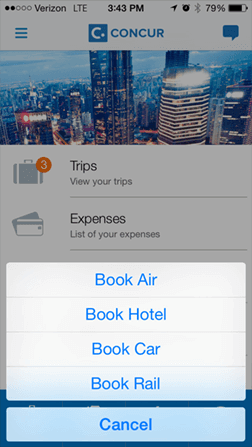 Simplify the corporate travel booking experience and control company costs. Basic booking systems can't keep up with the changes in corporate travel, but the online travel booking tool from SAP Concur can. We bring the entire process and all your data together in one place, so you can see and manage your corporate travel program your way. 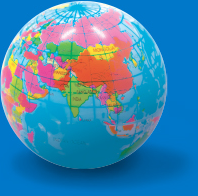 Provide access to content from multiple global distribution systems, negotiated and published prices, direct connects, and web-only fares. Gain complete insight into travel spending, track performance indicators (KPIs), and monitor trends/comparisons with more than 25 standard reports. Enforce internal policies and satisfy external regulations with Concur Request, a customizable pre-trip planning process that enables you to approve, reject, and request changes. 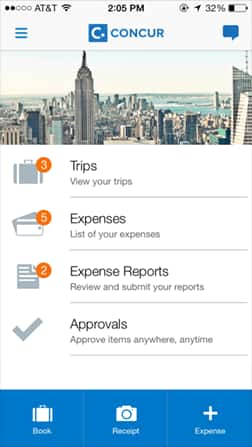 Streamline business travel planning, itinerary management, and expense reporting for your employees, and control your travel spending. Snap a photo of receipts and assign them to line items in expense reports. Travel suppliers can automatically send e-receipts directly to Concur Expense. 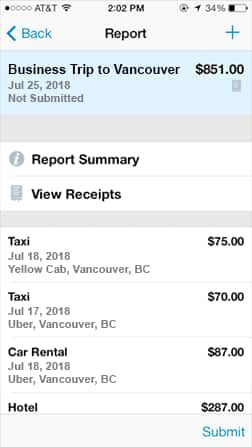 Concur® TripLink helps you capture and manage invisible bookings, and includes TripIt® Pro, which increases travel program satisfaction and makes trips visible in Concur. 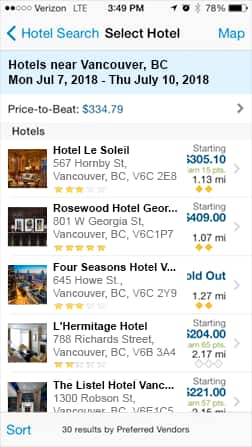 Concur Travel offers multiple ways to search for flight, hotel, rental car and rail options from a smartphone, tablet or PC. Voice recognition technology enables travellers to access booking selections by speaking into their phone. Free-text search capabilities translate users’ typed and spoken queries into travel booking options. See options in an interactive map view to ensure that the hotel you’re booking is exactly where you need it to be. Access content from multiple global distribution systems, negotiated and published fares, direct connects and web-only fares. Have a preferred vendor? Need to book closer to the conference center? Use sort options to filter results. Concur offers an integrated, mobile travel & expense solution that helps organizations manage their travel spend and streamlines travel booking and expense reporting for employees. See how Concur solutions have helped these organizations.